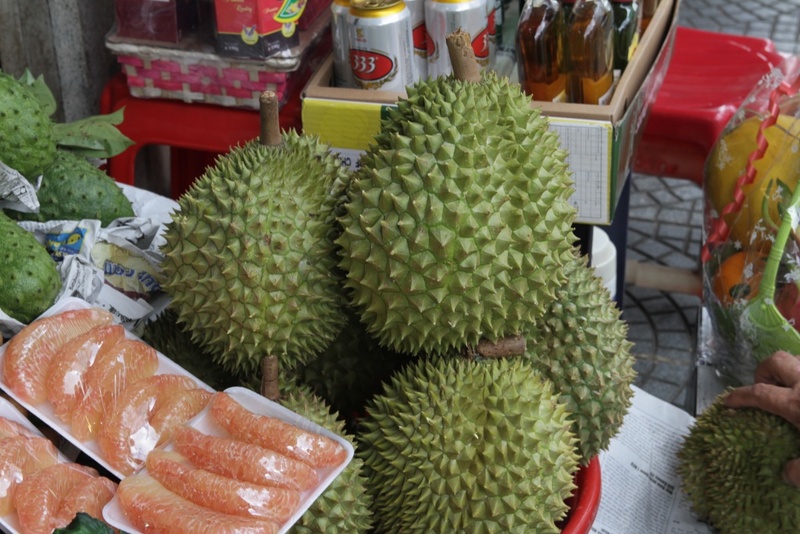 Fruits of south east asia! I forget how I found it, but for some reason I stumbled upon this page of Thai (or more generally, south east Asian) fruits. A bunch of them are really obvious ones (mango, banana, coconut…), but a handful of them are ones I’ve never even heard of. Naturally, I have to try them all. Recently, my friends and I went to the NYC Maker Faire, and on the way back had a ~3 hour car ride. We got to talking about vegetarianism, saying how for the most part, despite most of us taking a devil’s advocate position at some point, we all agree that we don’t really have a defensible position for eating meat. Yet, we’re all fairly carnivorous. In fact, during the height of that conversation, we were going out of our way to get to a Five Guys burger place, so… the irony was not lost on us.